Johnny Riddell: What's the name of the place we're going? 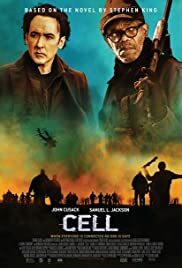 Q: Is 'Cell' based on a book? Q: What is the title of the poem recited by Samuel L. Jackson's character in the office of open air cinema? I feel like if you hadn't read the book to begin with, you'll probably find yourself getting lost too easily.. 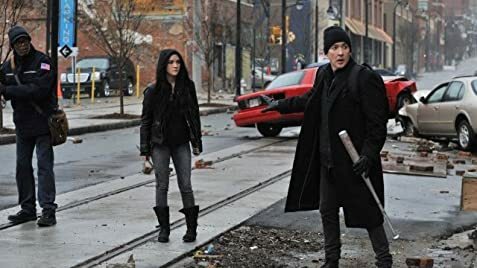 There was a severe lack of pacing simply jumping from scene to scene and some changes which in my opinion were for the worst. Overall I did still enjoy the movie, has a fairly unique concept and some very disturbing imagery, but had I have not read the book prior I don't think it'd be getting anywhere near 6/10 from me. SUMMARY: GO READ THE BOOK INSTEAD, AN ABSOLUTELY AMAZING READ. 57 of 79 people found this review helpful. Was this review helpful to you?